The UFO of the day comes to us from North Dakota. The source was in a plane when he spotted this spectacular UFO sighting. It seems to be made out of metal and is reflecting it’s environment. This is proof positive on this UFO. We are working on getting you an exact flight number. The UFO seems to have some heat distortion on it. All in all excellent UFO footage on this one. Next up we have some UFO footage from a parking lot. The UFO seems to be moving slowly and doesn’t make any noise. It looks like the parking lot of a Target. The source pulled the car over and started filming. He had his dog with him and the dog was not threatened by the UFO. Excellent UFO footage on this one and we are going to have to say proof positive. UFO Sightings strange lights January 30th 2017. The source was working overtime and when he came out to go to his car he saw this in the sky. Some of his coworkers also saw the UFO. This is a very unique UFO It looks like red lights in the sky. The UFO also seems distorted with some kind of energy. Very interesting UFO footage we are going to have to say proof positive. 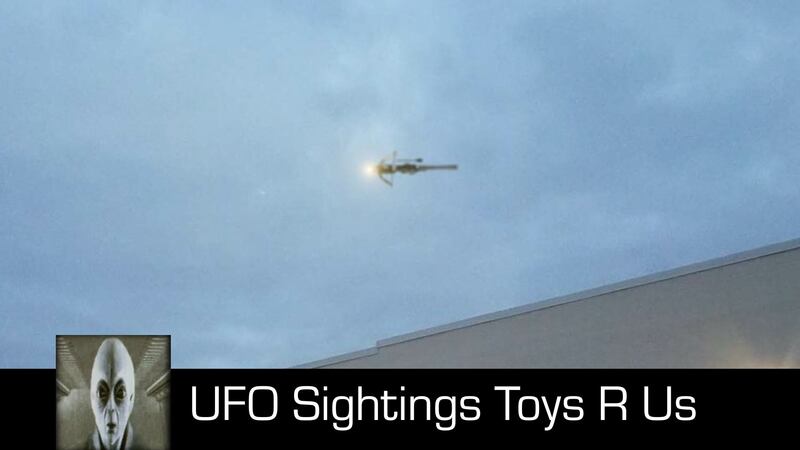 UFO Sightings Toys R Us. The source had just got done visiting Toys R Us closing and was headed back to his car. He then spotted this UFO in the sky. The UFO seems to have a light on the front of it. This is excellent UFO footage. The UFO made no noise according to the source. This is excellent UFO footage.